This one was a bear on all fronts anyway. I think it's fair to say I'll try to avoid drawing the interior of Centro busses for awhile - too many little details to draw. (while trying to get the perspective right!) At least it turned out pretty! But enough whining from me. 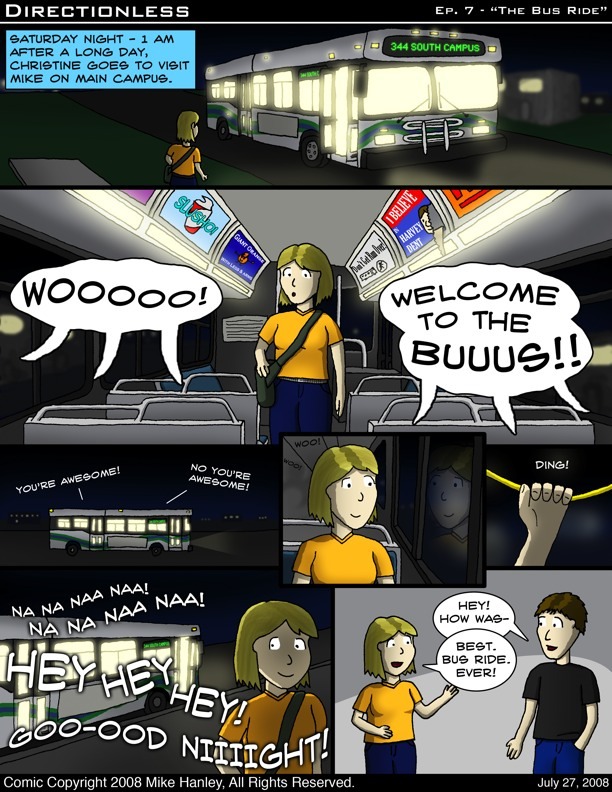 As is usually the case, this "issue" is a true story of a bus ride my girlfriend took from South Campus last semester. If the stars align right, I might even get another comic up by the end of this week! We'll see how that works out. "Directionless" is Copyright 2005-2012 Michael Hanley.